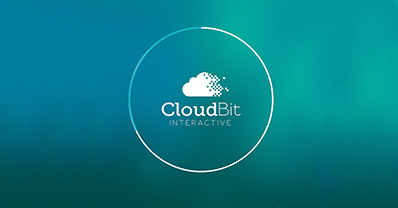 At Cloudbit we innovate to develop effective digital strategies, creating unique user experiences. We want to promote your product or services through the Internet, bringing it closer to consumers and generating the most positive impact possible. Our goal is to help your brand compete successfully in its sector, thus gaining more recognition. Ultimately, we can help your business become more profitable. We understand the individual needs of each client. We know how to think up big ideas and in turn develop them into innovative digital projects, all the while focusing on achieving the highest impact possible and meeting goals outlined within a client’s business strategy. Here at Cloudbit, we leave everything within your reach. We are willing and committed to offering you solid, state of the art solutions that are both social and effective. We are always by your side during development, implementation and adaptation to offer you high quality support, training and maintenance. Feel reassured and confident that with Cloudbit, you will achieve the results you want. What’s more, thanks to the use of powerful and flexible measuring technologies that provide valuable information about the site’s traffic and your marketing plan’s effectiveness, we offer you monthly stats reports. These can be used to evaluate and improve your software’s current state, your marketing plan or your website. Wherever you are and whatever your software and technical features, Cloudbit can develop digital solutions that can be correctly displayed on any device, from a desktop computer to a smartphone. Our target is always to make every design fun, unique and original, while simultaneously fulfilling your business goals. We have the best human and technical resources, so we analyze and pay attention to every detail. Bearing in mind the target group, your business goals and the needs of your users, we implement and use the best technology out there for your project. Rest assured that at Cloudbit, we are constantly implementing preventive measures and techniques to ensure 100% reliability and safety at all times.